Skullcandy headphones have been making their presence felt on the scene for a little while now, and have been building up a reputation as some of the best buds and full-size headphones around. Initially I was put off by the steep price tag on some models, but after bad experiences with cheap ones I thought I’d give some Skullcandy headphones a try. Wow. The hype is justified, as is the price. Remember- in gadgets, you get what you pay for, and thus shelling out a little more scratch for something that will give you awesome results is well worth doing. The second you hear what these things can do to your music for you, you’ll be sold on them. They’re great headphones no matter which model you get- the same attention to detail and performance has been lavished on every one. Sure, they’re not the absolute top of the range when it comes to listening on the go, but they’re the best around for the regular music lover who wants headphones that will perform well and look good too. Speaking of looks, Skullcandy headphones are available in a range of colours and designs to suit pretty much every taste. There are models right from the regular buds of the INK’D range up to the huge great cans at the other end of the spectrum. 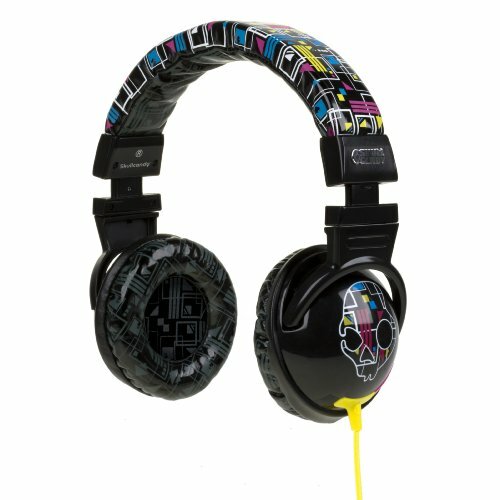 There are even artist specific headphones, such as the Metallica edition! It’s the sound itself that made me fall in love with mine though. The bass is huge, along with a string mid and a crisp top end. These things are well worth buying, and are perfect Christmas gifts for your pet geek. Mmm, Skullcandy.